TUESDAY, April 2, 2019 (HealthDay News) -- Brain scans can improve diagnosis and management of Alzheimer's disease, a new study claims. 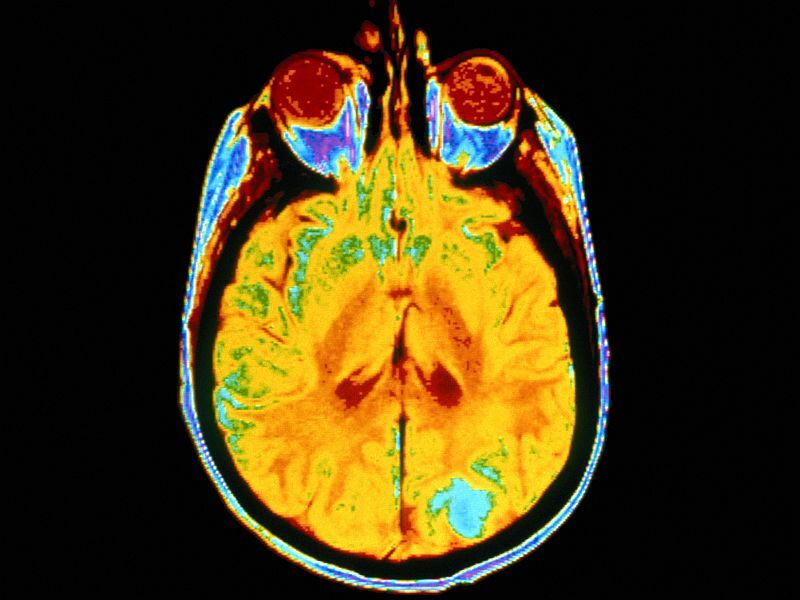 Researchers assessed the use of PET scans to identify Alzheimer's-related amyloid plaques in the brain. The study included more than 11,000 Medicare beneficiaries with mild thinking impairment or dementia of uncertain cause. The brain scan results also changed management -- including the use of medications and counseling -- in nearly two-thirds of cases, according to the study published April 2 in the Journal of the American Medical Association. "These results present highly credible, large-scale evidence that amyloid PET imaging can be a powerful tool to improve the accuracy of Alzheimer's diagnosis and lead to better medical management, especially in difficult-to-diagnose cases," said study co-author Maria Carrillo, chief science officer of the Alzheimer's Association. "It is important that amyloid PET imaging be more broadly accessible to those who need it," she added in an association news release. Funding for the study came from Avid Radiopharmaceuticals Inc., General Electric Healthcare, and Life Molecular Imaging. "We are impressed by the magnitude of these results, which make it clear that amyloid PET imaging can have a major impact on how we diagnose and care for patients with Alzheimer's disease and other forms of cognitive decline," said lead author Dr. Gil Rabinovici. He's a professor of neurology at the Memory and Aging Center at the University of California, San Francisco. There is no cure for Alzheimer's disease, but early diagnosis means that patients can receive treatment to manage symptoms and be directed to clinical trials for new drugs. In this study, the PET scans revealed that about one-third of patients previously diagnosed with Alzheimer's had no significant amyloid buildup, and their Alzheimer's diagnosis was reversed. But in nearly half of patients not previously diagnosed with Alzheimer's, the PET scans revealed significant amyloid plaque buildup, resulting in a new diagnosis of Alzheimer's. One-third of the study participants who had previously been referred to Alzheimer's clinical trials showed no sign of amyloid buildup based on PET scans. Based on those results, doctors were able to ensure that nearly all (93 percent) of patients referred to Alzheimer's trials were amyloid-positive, which is critical to these trials' success. "Accurate diagnoses are critical to ensure patients are receiving the most appropriate treatments. In particular, Alzheimer's medications can worsen cognitive decline in people with other brain diseases," Rabinovici said. "But perhaps more fundamentally, people who come into the clinic with concerns about memory problems want answers. An early, definitive diagnosis may allow individuals to be part of planning for the next phase of their lives and to make decisions that otherwise would eventually need to be made by others," he said.